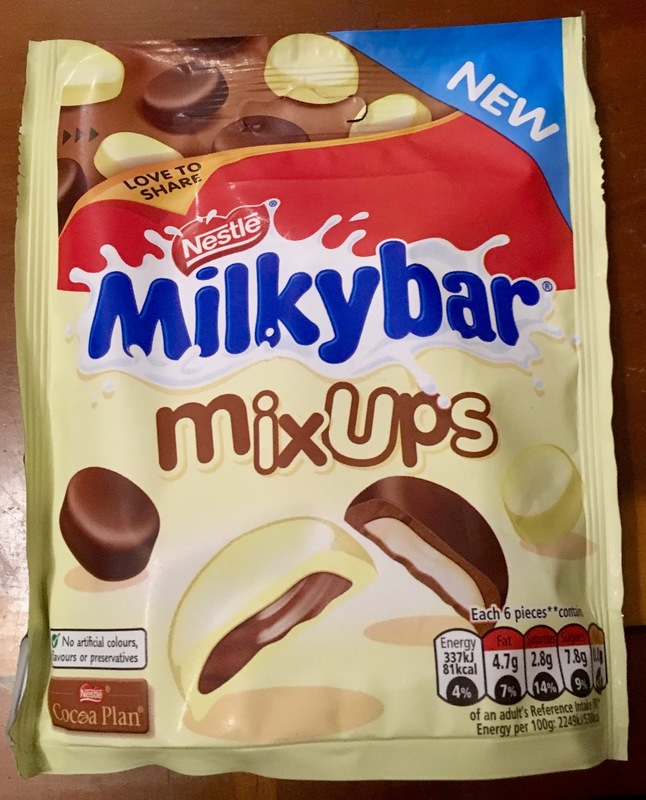 These new Milkybar Mixups are a new white and milk chocolate product I spotted them on the Asda website. 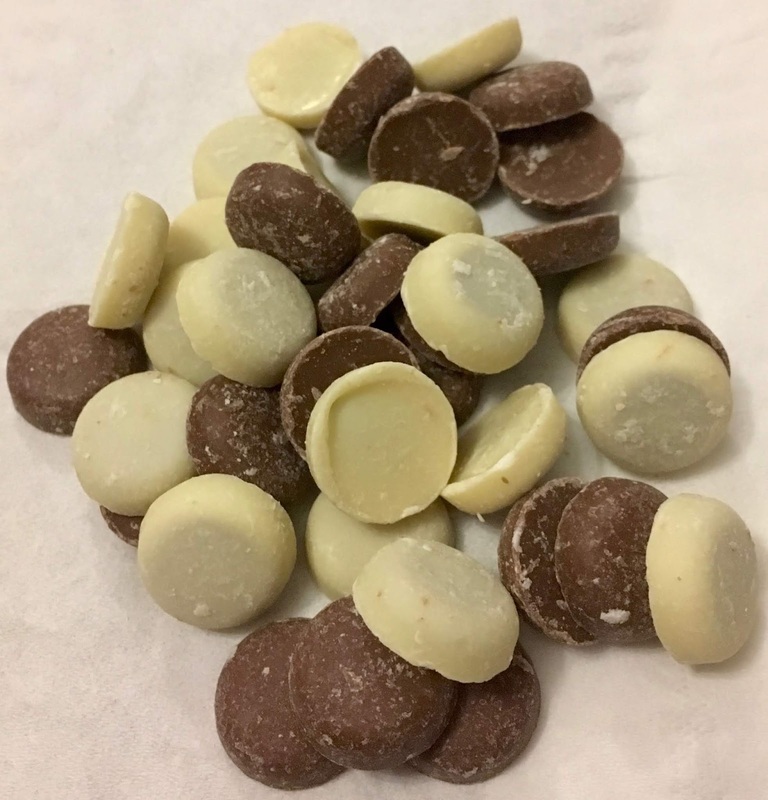 My initial thought was that they reminded me of nineties chocolates called Vice-Versas with were a hard shelled chocolate filled with either white chocolate or milk chocolate and the shell was the opposite colour, especially as both of these chocolate products are made by Nestle. Once the bag arrived I realised these were a bit different in that there is no shell, it is the two types of chocolate with one coating the other. There were quite a few of these Milkybar Mixups in the bag, and they were a little smaller than I had been expecting. 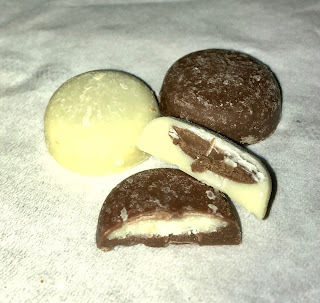 I gave a white one the taste test and found it to be softer than expected, and a flavour that wasn’t quite the sweet pure creaminess of white chocolate as it had hit of milk chocolate. The milk chocolate ones were almost identical. I think I’d struggle to tell them apart on a blind taste test. Both had blended white and milk chocolate in similar proportions. I think these new Milkybar Mixup were pleasant but missed the boat a bit. They lost their unique selling point of their Milkybar white chocolate, and the mix didn’t quite work. I’m happy to have tried them, but I think Milky Giant Buttons are a better way of getting a white chocolate hit.